In November 2002, Tennesseans voted to create a state lottery. The General Assembly established that profits from the lottery go toward specific educational programs: college scholarships, early childhood programs, and before/after school programs. These funds are put into a state account that is determined by competitive grants for eligible organizations within Tennessee. 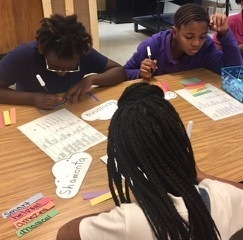 The overall goal of Lottery for Education: After-school Programs (LEAPS) is to provide Tennessee students with academic enrichment opportunities that reinforce and compliment the regular academic program. Lauderdale County was awarded three LEAPS sites: Ripley Primary, Ripley Middle, and Halls Elementary. For the 2018-2019 school year, our LEAPS before/after school programs begin August 20, 2018 and will continue until May 2019. These before/after schools students get homework help, ELA, Math, and a variety of educational activities each week. The morning program meets Monday - Friday each week from 6:45 - 7:45 am. The afternoon program meets Monday - Thursday each week from 3:15 - 5:45 pm. If you have any questions about your student being a part of LEAPS at these three schools, please contact Samantha Culver, District Coordinator, at 731-635-2941 or sculver@mail.lced.net.